Power Display stocks a wide variety of cafe banners, cafe barriers, and wind-breakers for outdoor and indoor areas. 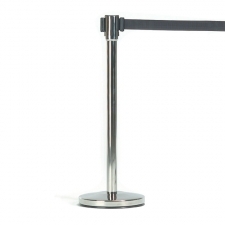 We supply the hardware, but also print onto three different types of cafe barrier material - PVC, mesh PVC, and canvas. These three materials are all suited to different environments, so please call for further details, and for advice on what material best suits your business and cafe banner.